You'll feel like a new person once you take a feel to this business card case. The ridge design will make for some chilling goosebumps - so much so that you'll want to have it in your hands at all time. This is a good thing since promoting your business can sometimes be a drag. But with these cases, you’ll always be selling your business right (since you never know when someone’s going to ask about it). But whether you use this to hold your business cards or want it as an alternate to the boring wallet, this case is definitely a great feature to your pocket or purse. Feel right with this case! 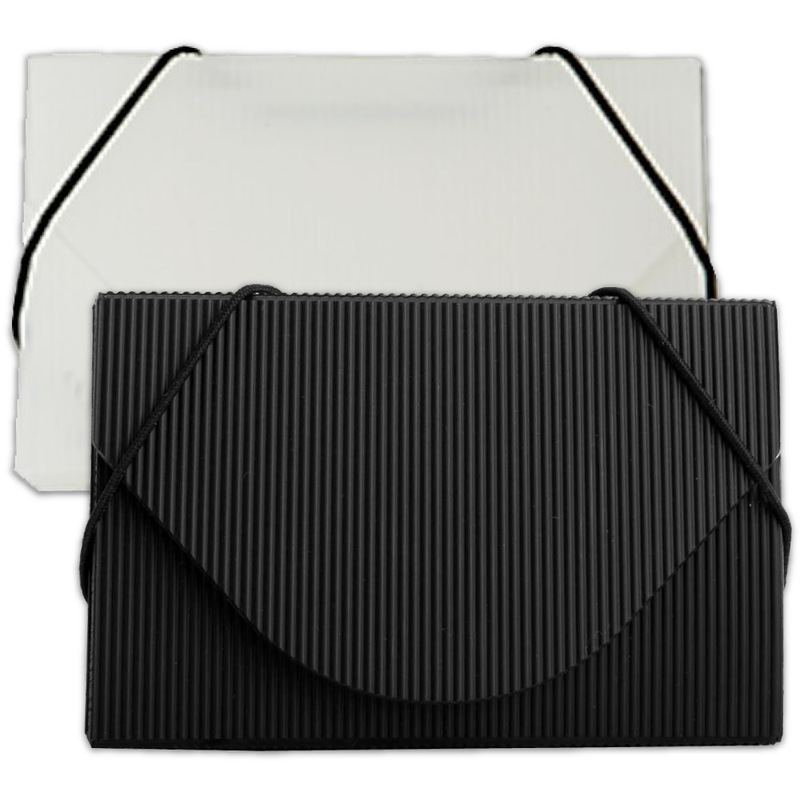 Each Ridged Business Card Case holds approximately 20 standard size business cards and is available in Black Ridge and Clear Ridge. Ask about customizing with your logo or colors (minimum is 100 pieces). Click "Build a Custom Portfolio" at the bottom of the page for more details!